Your Alexa rank is a metric which provides a summary of the performance of your site as it relates to all other sites on the Internet. You want to improve your site so it’s ranked higher in the Alexa standings as this means you’re getting more traffic and have a popular website. With a better rank, you have more visibility and provide more value for those interested in your business. In all, the authority of your site on the web is translated as your Alexa Ranking. How to Increase Alexa Rank Click To TweetAs a business, you probably know that your Alexa rank is important. 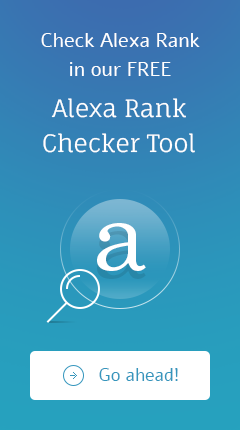 Advertisers, partners, and investors will look at your Alexa rank to evaluate your business. To improve your business and stay competitive, you want to ensure that you have a good Alexa rank. 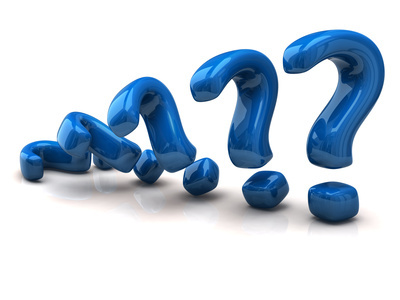 In essence the Alexa rank of your site is how popular your site is against all the other sites on the Internet. This rank lets you know how your site is doing when you compare it to others. The traffic on your site and other sites will change your Alexa rank on a continuous basis. Where Does the Alexa Data Come From? There’s a traffic data panel at Alexa that consists of millions of people all over the globe. Alexa will estimate the number of visitors to all of the sites across the Internet. This is a complex calculation and it won’t count spam or fake website traffic. The data scientists at Alexa are the best in the business and they ensure that all of the data that’s presented by Alexa is true data so you have the information that matter to you and your business. Alexa estimates the average daily visitors to your site every day as well as page views over the last three months. It does this for every single site on the web. The site with the most page views and visitors is then ranked number one by Alexa. The lowest site has a rank that is about thirty million. If no one visited the site over a period of three months, the rank is zero. How Do Visitors to a Website Impact the Alexa Rank? A site that gets a large number of visitors like Google is ranked number one. Sites which get a large number of visitors can still change rapidly in rank when they even have small changes in the number of visitors that they get. Sites with a good rank are very popular sites which get millions of views each day. It takes more visitors to move up in rank once you get closer to the number one spot. A site with rank of ten for example, has way more visitors than a site that is ranked at two hundred, although a rank of two hundred would be an excellent rank for most sites. If you want to get an accurate Alexa rank, it’s possible to certify your site metrics on Alexa. If a site has certified metrics, Alexa directly measures it and it’s not an estimation based on Alexa data so you get a more accurate reading. You can do several things to get a better rank on Alexa. The first thing is that you need to have great engaging content on your site. You want to provide real value to your website visitors. If you don’t have great content, you won’t build a loyal following and your rank will suffer. People that find engaging content will visit that content frequently and share it on social networks. This helps bring your site new customers and build links to your site. Search engines like Google also reward sites that have great contents as your site will rise in the search engines and be seen by more people. Another way to improve Alexa rank is to get related links to your website which are referred to as inbound links. These help search engines define your niche in a clear way. Your site will be considered to have more quality as well as trust in the search engine rankings. These inbound links add to the credibility of your website. You can add to the credibility by producing content that is of very high quality and engaging to readers. You want visitors to stay on your website for as long as possible so give them a reason for staying there with great content. You also want internal links on your site which are links that lead from one page to another page. These help navigates users through a website for relevant and related content to what they are reading now. These internal links will contribute to site links which appear below the main page link in search engines. Just make sure that all of the content you create is of the best quality possible. Both internal and inbound links help the search engines understand the content of your website and how valuable the site is for visitors. You want to ensure that you use linking within reason as too many links can reduce readability or the credibility of your website and it can be penalized by the search engines for this. You need to look at the keywords that are being used by your competitors and then have your site optimized for those keywords or you can buy PPC campaigns (paid per click). Keyword research is essential because it shows you what people are searching for. This helps you understand the customer so you can better serve them. If you use the right targeted keywords on your website, then you’ll get more traffic to the site. You need to understand your competitors for several reasons. By having a clearing understanding or what metrics matter, you’ll be better able to develop the right strategies for your website and to identify industry trends as well as anticipate them. This allows you to stay on top of your competition. You’ll have a better position in the marketplace and you’ll have the data that allows you to make the right business decisions moving forward. On your website you want to follow good SEO or search engine optimization practices. The visibility of your website is not the only important factor, you want the site to be at its best for your customers when they are interacting with the brand you are trying to promote. If you won’t have a good user experience on your website, then you won’t retain customers and will have a hard time getting new ones. If you want to improve the Alexa ranking of your blog or Website and reap these benefits, nothing can do it better than a reliable Alexa Rank Booster Service like RankStore.com! RankStore.com a Website of New Developments, LLC. Refund is only available when the goal rank is not achieved at the end of the package. (Please note that the rank should be the time-period average rank, such as a one-month average or three-month average). In any case, the value corresponding to the ranking achieved during this period will always be deducted from the total received. Just finished my first three months with your services, and I can say I am beyond satisfied with the results! I will be renewing with a 12 months package. Feel free to use this email as my testimony. Thank you! RankStore.com © 2019. All Rights Reserved.